Crossovers and Cables; Are They Really Any Different? I had lunch recently with my pal Hugh Nguyen, who manufactures the really quite remarkable (and even affordable) "Trinity" speakers marketed by Angel City Audio. Over Mexican yummies (We had set out for our favorite Cajun place, but it was closed for a private party) we were talking about any number of things, including loudspeaker and cable design theory and, in the course of our conversation, we both came - at just about the same time - to the surprising conclusion that the only real points of difference between cables and crossovers may lie in the intent, magnitude, and measurability of their functions; in the fact that crossover design is pretty well-known by a whole lot of people; and in that nobody seems to doubt that crossovers actually work. 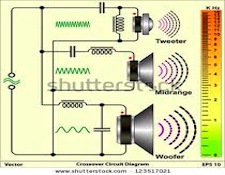 The thing that actually does the dividing is called a "crossover network", and more than a few of the industry's top designers think that a properly designed and executed crossover is at least as important to getting good sound out of a speaker system as the drivers, themselves. The reason for this is that the crossover network doesn't just route the proper frequencies to the proper driver(s), but will actually affect the system's overall frequency response, its phase accuracy, and its transient response. 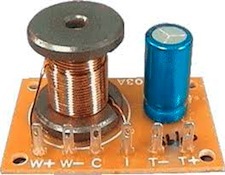 For a two-way system, the crossover can be as simple as a single component - one inductor (used as a "low-pass filter" to keep highs out of the woofer) or one capacitor (a "high-pass filter" to keep lows out of the tweeter). Or both high- and low-pass filters may be used, with one filter, of whatever kind or construction used for each driver. For more complex systems, more filter sections (generally one section per type of driver) will generally be added to ensure that each specialized driver gets only the range of frequencies it was designed to reproduce. This means that, for a midrange driver, the filter section will necessarily be more complicated because it needs to filter out both highs and lows above or below its intended operating range. For each additional order of filtration (2nd, 3rd , 4th, etc. ), 90 degrees of phase shift is added which, if not recognized and planned into the overall design, can directly affect the system's ability to image and soundstage and can also, if sufficiently extreme (please recall that even just 3rd order filtration can potentially throw the affected driver180 degrees out of phase with the system's other drivers) can result in cancellations at certain frequencies and a loss or "muddying" of transient response. 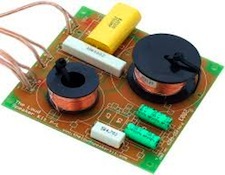 One other thing that crossovers can do is, by adding a series resistor of the appropriate value, to lower the relative volume of one driver in the system to match another for an improvement to the system's overall sonic balance. 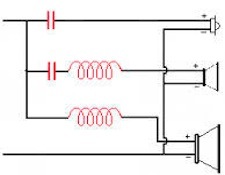 Essentially, what a crossover network is is a device that takes the signal from the speaker cable and, by carefully controlling added resistance (for level or impedance adjustment) , capacitance (for high-pass filtration), and inductance (for low-pass filtration) changes the frequency, level, and phase of each of the signals passed by a subset of other cables (the speaker's internal wiring) to each of the speaker's drivers in order to change the output of those drivers for the benefit of the overall system. Hmmmm. 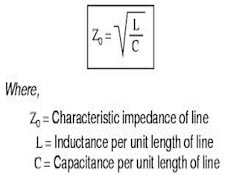 Don't the cables outside the speaker also have resistance (R), capacitance (C), and inductance (L)? Isn't that true whether they're speaker cables, interconnects, or something else, entirely? And if big, on-purpose, differences made in the R, C, and L feeding the drivers in the system from the crossover can produce large, clearly audible and easily measurable differences in the sound that the speaker produces, how could it possibly be that the small, inadvertent differences in R, C, and L made by those outside cables DON'T produce small but audible and possibly (if appropriate test equipment and test protocols are available, properly used by people willing to believe and accept their findings) even measurable sonic changes? As near as I can tell, about the only real differences between a crossover and a cable, other than their physical configuration and a cable's obvious "hookup" function, are that a crossover does what it does "on purpose" with relatively large amounts of R, C, and L, applied by a knowledgeable designer to achieve a specific desired change, and a cable - because every cable designer I've ever heard of (including me) at least claims that he's trying to eliminate any changes, additions, subtractions, or phase shift at all -- does what it does to a lesser degree, DESPITE its designer's best efforts. Other than those differences in intent and degree and, of course, the fact that nobody at all doubts that crossovers make a difference, I think that crossovers and cables are pretty much the same.